Welcome to the Los Angeles Jamaat! Welcome to Anjuman-e-Burhanee, Los Angeles! 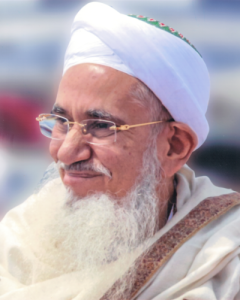 We are the Dawoodi Bohra Muslim community of Los Angeles, and the devoted followers of our beloved spiritual leader, His Holiness Dr. Syedna Mufaddal Saifuddin (TUS). We invite inquiries via email at: webmaster@lajamaat.com. Please login to the website using your household login to access jamaat services, including the searchable jamaat directory, the on-line qardan hasanah application, the monthly FMB thaali menu, and other resources. All jamaat households already are registered on this website. Your household login is the first letter of the HOF and full last name. Example: Saleh Najmi’s login is snajmi. If this is your first time logging in, use the “Forgot your password?” link at the bottom of the Login page, and you will receive a link via email to reset your password. After logging in, you will be redirected to your profile page. Please verify all your household profile information, you can edit the information by clicking on the “gear” icon and selecting “Edit Profile” from the submenu. Please keep your profile information current! This is the information that will be used in the printed jamaat directory. If you have any difficulties, please email the Jamaat Webmaster team for assistance.